This article is not about the glory of Islamic Medicine of past 1000 years which produced great physicians. This also is not an article saying that since science has now confirmed certain Quranic statements, therefore Quran must be a divine book. To the contrary, we begin with the belief that all Quranic statements are true, science has confirmed some of them in the past, and will confirm more in the future. If science has not confirmed it yet, it needs to examine its data more deeply, or maybe repeat the experiment, rather than question the authenticity of Quran. from your own actions". (Quran 4:79). The belief in Allah is the first and foremost important need for spiritual stability. Belief in Allah includes belief in His attributes, His angels, His books, the Day of Judgment, the Heaven and Hell and belief that - all good and bad is within His reach. Imam Rumi has called faith being superior to prayers. In illness, according to Imam Ghazali, the awareness of Allah increases and man becomes closer to Allah by realizing his own weakness. Washing all the exposed areas of the body, hand, feet, face, mouth, nostrils etc. 5 times a day is a healthy preventive procedure. Handwashing is being emphasized more and more in hospitals now in order to prevent the spread of germs. However, non-Muslims did not know that handwashing is so important - it has been ordered in Quran (5:7) 1400 years ago. And for complete cleanliness bathing is advised (4:43). nothing but loss after loss". (Quran 17:82). The movements in Salaah are mild, uniform, and involve all muscles and joints. The caloric output is desired to keep the energy balance. "And he is violent in his love of wealth" (Quran 100:8). In Islam the ownership of wealth belongs to Allah. We are the disposers of that trust. Therefore, this concept establishes peace at heart and our behavior in the loss of money or unusual gain. In either way, we thank Allah. Therefore, during the period of fast one may not only get rid of nibbling food, coffee, smoking but also of anger and excessive passion. The moral is Prophet lbrahim (peace be upon him)'s submission and absolute surrender to God's will, the opportunity for repentance, and the social and political gathering of the Ummah depicting brotherhood and equality. "O mankind: Eat of what is lawful and good on earth" (Quran 2: 168). swine (see Quran 5:3) and intoxicants (Quran 5:91, 92, and 2:219). Therefore, a person under the influence of alcohol may want to take off his dress, engage in unlawful acts, become violent and abusive without even knowing what he is doing. On medical damages due to alcohol, whole books have been written. "But waste not by excess for God loves not the wasters" (Quran 7:31). my wrath do perish indeed" (Quran 20:81). is a sign for those who are wise" (Quran 16:67). Though we do not find much in Quran about specific exercise, recommendation, the Prophet's life was full of recommendations. If we give up excessive salt, sugar and cholesterol from our diet, and do not drink and smoke, and stay active, it is possible that the pump (the heart) won't be rusted from inside. happiness He has power over all things." (Quran 6:17). B. Many Muslims won't seek early medical attention, contrary to the Prophet's practice and teaching. In Christianity there is a sect believing in faith healing who have let their members die rather than go to the physician. Usamah Bin Shareek (may Allah be pleased with him) reports "I was with the Prophet and some Arabs came to him asking "O Messenger of Allah, do we take medicine for any disease." He said, "Yes, O You servants of Allah take medicine as Allah has not created a disease without creating a cure except for one. They asked which one, he replied old age'. In summary, our healthy body is a gift from Allah. We are the trustees. We should not misuse it, nor provide wrong raw products for the factory and we should keep superb maintenance of this delicate and sensitive machine. It is the container of our soul. ශ්‍රී ලංකා ජාතික ගීය නිසි තනුවට අනුකූලව දෙමළ භාෂාවෙන් ගැයීමේ කිසිදු වරදක් නොදකින බව ශ්‍රී ජයවර්ධනපුර විශ්ව විද්‍යාලයේ කුලපති මහාචාර්යබෙල්ලන්විල විමලරතන නායක හිමියෝ පවසති. නායක හිමියන් ඒ බව කියා සිටියේ, නව ව්‍යවස්ථා සම්පාදන ක්‍රියාවලියට අදාලව බුද්ධ ශාසන කාර්ය සාධක මණ්ඩලය විසින් ආණ්ඩුව වෙත ඉදිරිපත් කරන ලද පහළොස් වැදෑරුම් ඉල්ලීම් මාලාව පිළිබඳව බීබීසී සංදේශය වෙත අදහස් දක්වමින්. "ජාතික ගීය කියන්නේ එකයිනේ? ඒක වෙනස් කරන්නේ නෑ. නමුත් ඒ තනුවම දෙමළ ජාතිකයන්ට තමන්ගේ භාෂාවෙන් කියන්න අවසර දුන්නයි කියල බරපතල ලෙස විරුද්ධ වෙන්න දෙයක් නෑ," එහිමියෝ සඳහන් කළහ. 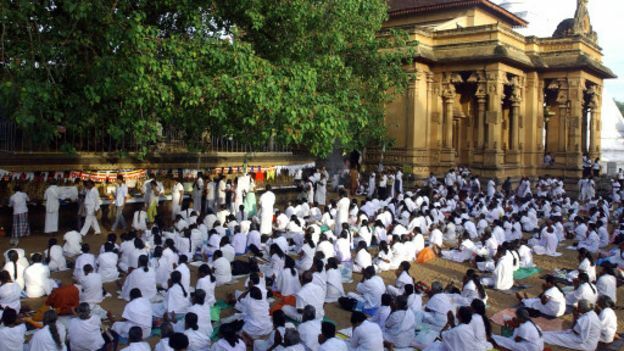 බුදු දහම ආරක්ෂා කොට, පෝෂණය කරන බවට වත්මන් ව්‍යවස්ථාවේ නම වැනි වගන්තියෙන් ලබා දී තිබෙන ආරක්ෂාව නව ව්‍යවස්ථාව මගින්ද සහතික කිරීම බුද්ධ ශාසන කාර්ය සාධක මණ්ඩලය විසින් ජනාධිපති මෛත්‍රීපාල සිරිසේන සහ අගමැති රනිල් වික්‍රමසිංහ වෙත යොමු කර ඇති ලිපියේ ප්‍රධානම ඉල්ලීමයි. 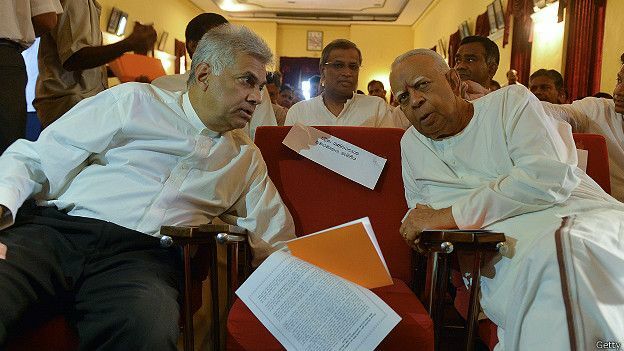 රාජ්‍ය බුදු දහම රැකගනිමින් පෝෂණය කළ යුතු බවට වගන්තියක් මුලින්ම ඇතුලත් කෙරුණේ ආචාර්ය කොල්වින් ආර් ද සිල්වාගේ ප්‍රමුඛත්වයෙන් සම්පාදනය කරන ලද 1972 ජනරජ ව්‍යවස්ථාවටයි. එම වගන්තිය මගින් තමන් නොලකා හැර ඇතැයි රටේ වෙසෙන සුළු වාර්ගික, සුළු ආගමික ජනකොටස්වලට හැඟී යන්නට ඉඩ තිබෙන්නේ නොවේදැයි විමසූ අවස්ථාවේ මාහාචාර්ය විමලරත්න හිමියන් සඳහන් කළේ, කිසියම් රටක ප්‍රධානම ආගම රැකගැනීමට රාජ්‍යය බැදී සිටිය යුතුය යන්න ශ්‍රී ලංකාවේ පමණක් පවතින සම්ප්‍රදායයක් නොවන බවයි. "ඉතින් මේක තිබුණයි කියල අනෙකුත් ආගම්වලට හානියක් සිද්දවෙලා නැහැ. ඒ ආගම්නුත් ආරක්ෂා කළ යුතුයි කියලා ඒ සමඟ ඊළඟ වගන්තිය තියෙනව. ඒ ආගම්වල සියලු කටයුතුන් ඒ ආකාරයෙන් කෙරෙනවා කිසිම බාධාවක් නැහැ,"එහිමියෝ පැවසූහ. ශ්‍රී ලංකාව අනාගමික රාජ්‍යයක් බවට පත්විය යුතුය යන්න 'එක්තරා විදියකින් අන්තවාදී ලෙස බලන අය' ඉදිරිපත් කරණ මතයක් බව පවසන එහිමියෝ ශ්‍රී ලංකාවේ අනාගමික රාජ්‍යයක් බිහිකිරීමේ අවශ්‍යතාවයක් නොමැති බව අවධාරණය කරති. ශ්‍රී ලංකාව දිගටම ඒකීය රාජ්‍යයක් වශයෙන් පැවතිය යුතුය යන්න ශ්‍රී ලංකාවේ ප්‍රධාන පෙළේ බෞද්ධ භික්ෂුන් වහන්සේ සහ බෞද්ධ නායකයන් පිරිසකගේ අත්සනින් යුතුව බුද්ධ ශාසන කාර්ය සාධක මණ්ඩලය ඉදිරිපත් කර තිබෙන ලිපියේ අඩංගු තවත් යෝජනාවක්. ශ්‍රී ලංකාවේ අධිකරණ ක්‍රියාදාමයට ඇඟිලි ගැසීමට විදේශීය රටවලට හෝ ආයතනවලට අවසර නොදිය යුතු බවටද බෞද්ධ නායකයෝ ආණ්ඩුවෙන් ඉල්ලා සිටිති. එක්සත් ජාතීන්ගේ මානව හිමිකම් මණ්ඩලයේ සම්මත වූ යෝජනාව ප්‍රකාරහයිබ්‍රිඩ් අධිකරණයක් පිහිටුවීමට විරුද්ධ බව එහි අදහස දැයි සංදේශය කළ විමසීමට පිළිතුරු දුන් මහාචාර්ය විමලරත්න නාහිමියන් කියා සිටියේ, ශ්‍රී ලංකාවේ ජාත්‍යන්තර ප්‍රඥප්තීන්ට අනුකූලව ස්වාධීන දේශීය අධිකරණ ක්‍රියාදාමයක් පවත්වාගෙන යාමට ශ්‍රී ලංකාවට හැකියාව පවතින බවයි. "ඒක බටහිර අයට ඕන හැටියට ලංකාවේ අධිකරණ හදන්න බැහැනේ? නමුත් ඔය රෝමන්, ලන්දේසි නීතිය නෞසාරයෙන් තමයි අද බොහෝ රටවල නීතිය හදල තියෙන්නේ," එහිමියෝ පැවසූහ. 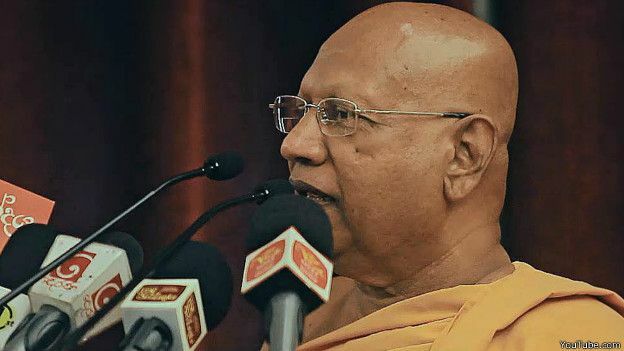 "ප්‍රශ්නේ තියෙන්නේ සමහර රජයන් තුල ඒ බලධාරීන් නීතිය අතට ගෙන ක්‍රියාකිරීමයි. 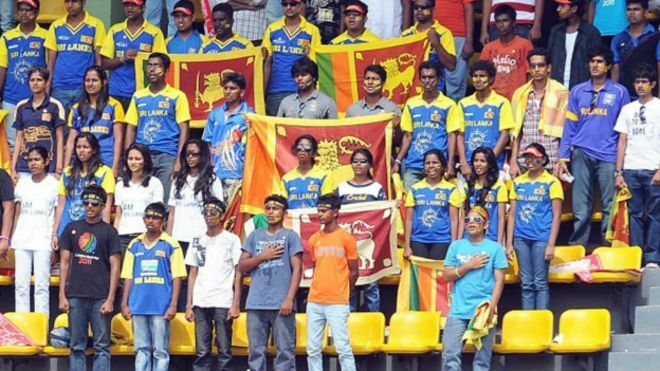 ඒවා සිදු නොවෙනවා නම් නීතියේ ප්‍රශ්නයක් නෑ." ජාතික ධජය වෙනස් නොකිරීම, පාර්ලිමේන්තුවේ උත්තරීතරභාවය ආරක්ෂා කිරීම, ජාතිය හෝ ආගම මත පදනම්ව පළාත් නොබෙදීම ඇතුළු ප්‍රධාන කරුණු 15 ක් බෞද්ධ නායකයන්ගේ එම ලිපියට ඇතුලත්. වෙනත් රටවල පුරවැසිභාවය හිමි කිසිවෙකුටත් ජනපති, මැති, ඇමති තනතුරු හෝ රාජ්‍යයේ ඉහල නිලතල දැරීමේ අවස්තාව ලබා නොදිය යුතු බවත් බෞද්ධ නායකයෝ අවධාරණය කරති. "ඒක ඇත්තනේ? රටවල් දෙකක කකුල් දෙක තියාගෙන වැඩකරන්න බෑනේ? නමුත් පහුගිය කාලේ එහෙම දේවල් කෙරුනා. එයාට ඕන වෙලාවක වරදක් කරලා මේ රටෙන් අනෙක් පුරවැසිභාවය ලබාගෙන ඉන්න රටට පැනල යන්න පුලුවන්." එබැවින් ද්විත්ව පුරවැසියන්ට ඉහල තනතුරු දැරීමේ අවස්තාව අහිමි කරන මෙන් ඉල්ලා සිටීම අසාධාරණ ඉල්ලීමක් නොවන බවයි, මහාචාර්ය බෙල්ලන්විල විමලරතන නායක හිමියන් වැඩිදුරටත් සඳහන් කළේ.